You could own a small piece of the British sports car manufacturer. Back in 2015, Ferrari filed for an initial public offering (IPO) and never looked back. Ferrari has been rising in value on the merit of strong sales that only seem to be increasing each year. The Ferrari IPO was so successful that companies like McLaren and Aston Martin have also considered doing the same, but the latter seems to be very close to making a decision. Reuters reports that the Italian private equity fund Investindustrial, and the group of Kuwaiti investors who own 90% of Aston Martin are in the initial stages of a strategic review. The two groups have already hired an investment bank called Lazard to work on a preliminary plan. If the company does decide to do an IPO, the deal could go through in the third or fourth quarter of 2018. A source close to the deal says that Aston Martin could be valued between 2 billion and 3 billion pounds (around $2.6 to $4 billion). No financial decision has been made as of yet, and the investors could retain control of the company. Ferrari is currently valued at around $9.82 billion, so clearly the Aston Martin sale won't be as large. This doesn't mean that Aston Martin won't consider going public. 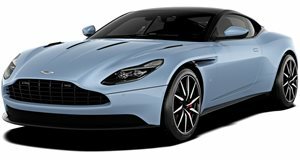 Aston Martin seems to be in an ideal position for an IPO as the company is in the middle of a six-year turnaround plan, due to be completed by 2022. New models like the DB11 and Vantage take advantage of Mercedes-AMG engines and technology, which should help drive sales to tech-conscious buyers. The company made a profit for the first time in a decade, so things are really looking up at Aston Martin. The DB11 fixes almost everything that was wrong with Aston Martin.